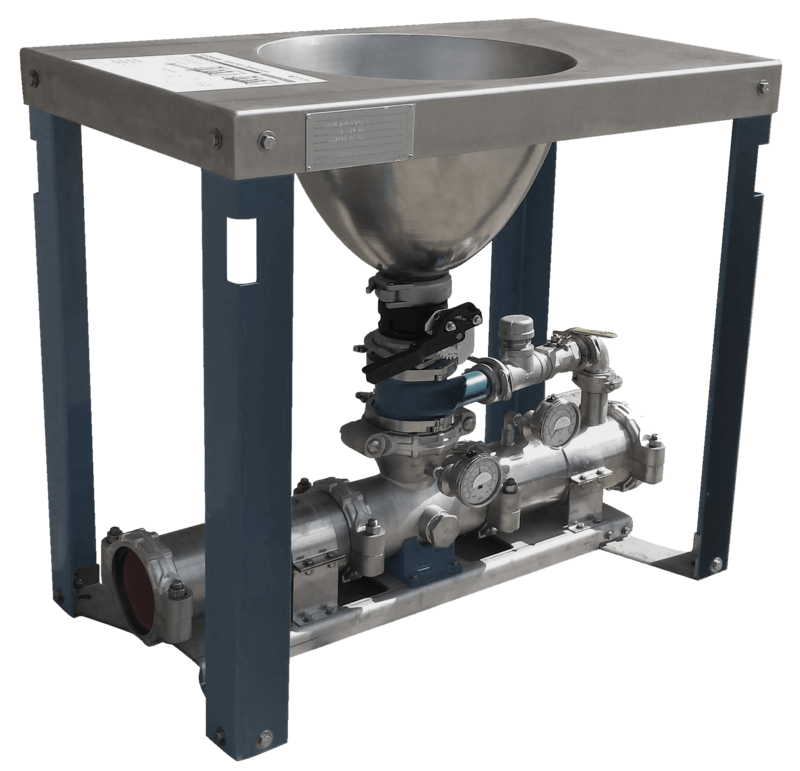 Model FS-HDSM HydroDyne Shear Mixer with actuator valve – Fluid Systems, Inc. Recent advances in mixing technology have established a solution in mixing and dispensing drilling fluid products. Generally, these products are readily prepared utilizing conventional mud hoppers, which result in drilling fluids that contain chemical additives that are not properly hydrated and dispersed. This may be a challenge to mud engineer in checking fluid rheology. It may require several circulations before the fluid is uniformly dispersed. The HydroDyne Jet Pump has a non-circulation nozzle that generates twin geometrically and opposing downstream vortices. The twin vortices interact with each other overlapping axes. The overlapping axes influence fluid stretching and folding, and during the stretching, interfacial contact exposes individual particles to Instant hydrations and the folding motion uniformly disperses the drilling fluid. The dynamic Interfacial contact in mixing will enhance the stability of Invert and oil based drilling fluids.